Your first type of childhood flu can predict the chance of survival in an outbreak of the flu virus in later life. 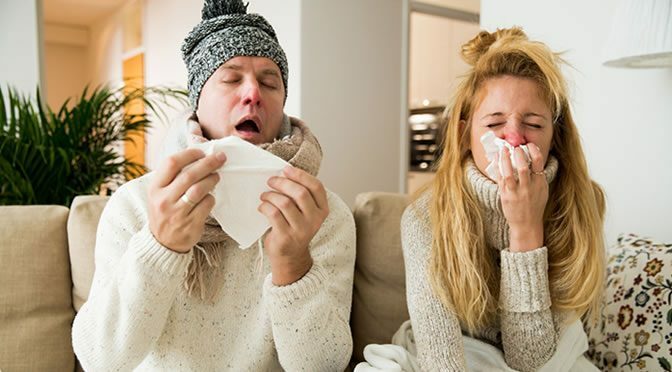 Our immune system in general can fight infection or deal with influenza, even though we experience some distress for some time. But once in a while a new type of influenza spreads and can turn into an epidemic. In this case scientists believe that it is possible to predict the likelihood of getting seriously ill, dying or surviving, only by your birth year. Previously it was believed that earlier exposure to a flu virus won’t give enough immunity against new influenza outbreaks from animals to humans. On the contrary, new research suggests that the very first type of flu virus a person encounters during childhood leaves on the immune system an imprint to provide protection against similar strains in adulthood. For this study they tested two types of bird flu viruses, avian H5N1 and H7N9. Both viruses spread very fast from animals to human and in the past they have caused many illnesses and deaths in humans. These viruses can possibly mutate and again jump from birds to humans and spread between people. The research team found that if your first flu infection matched the same group of avian flu virus there is 75% protection against serious illness and 80% protection against dying. The human body makes antibodies when exposed to the flu virus for the first time to target hemagglutinin, a viral protein. “In this analogy, let’s say you were first exposed to a human ‘orange lollipop’ flu as a kid. If later in life you encounter another subtype of flu virus, one from a bird and one that your immune system has never seen before but whose proteins also are of a similar ‘orange’ flavor, your chances of dying are quite low because of cross-protection. These findings explain why some age groups are more likely to suffer severely from an infection by new flu viruses. “All sorts of possibilities have been put forth, and here my colleagues from UCLA and I present a strong result showing that whatever other minor factors are at play, there is one really major one, and that is — surprise, surprise — we’re not a completely blank slate when it comes to how susceptible we are to these emerging flu viruses. “In a way it’s a good-news, bad-news story. It’s good news in the sense that we can now see the factor that really explains a big part of the story: Your first infection sets you up for either success or failure in a huge way, even against ‘novel’ flu strains. The study was published in Science (Gostic et al., 2016).